If there is one place where time froze for eternity, that place is Pompeii (no bad pun intended). The town was destroyed during the eruption of the terribly close Vesuvio volcano in 79 CE, under the Roman Empire. It was burried in over 7 meters of volcanic sediments for 15 centuries. Rediscovered some centuries ago, Pompeii is the object of intense archeological missions and has been classified as UNESCO World heritage since 1997. 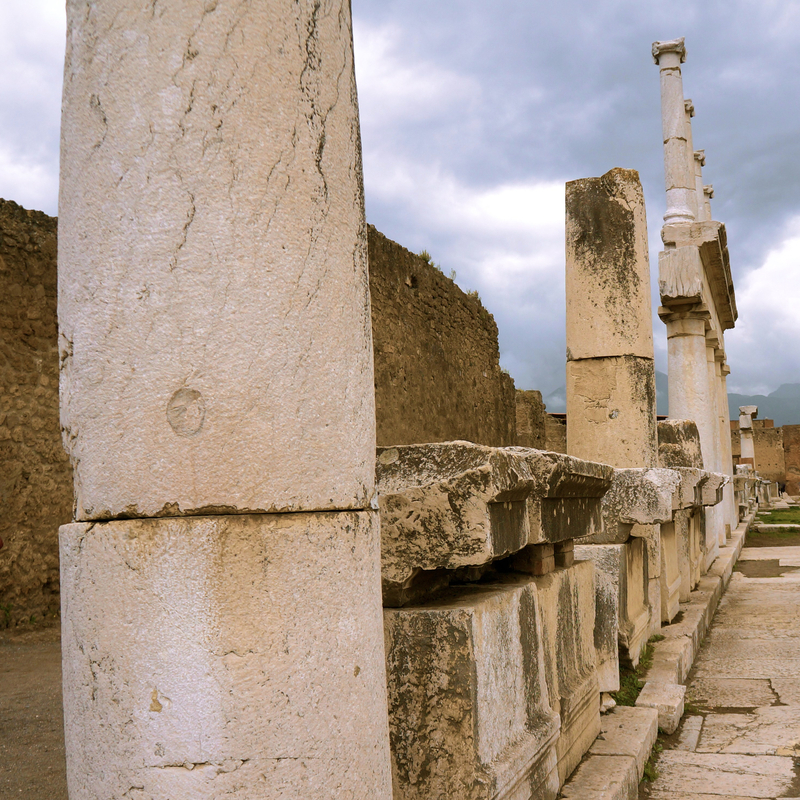 Although the archeological digs have allowed us to discover an incredibly rich, active and flourishing town before its eternal petrification, visiting Pompeii triggers mixed feelings in my opinion. Indeed, from a historical standpoint Pompei is a fascinating display of the Roman Empire. However, it is naturally a very different experience from a human standpoint. It’s nearly impossible to detach oneself from a deep melancholy when walking about the streets, houses, commerces, brothels – the symbols of a daily life petrified in just a few hours.